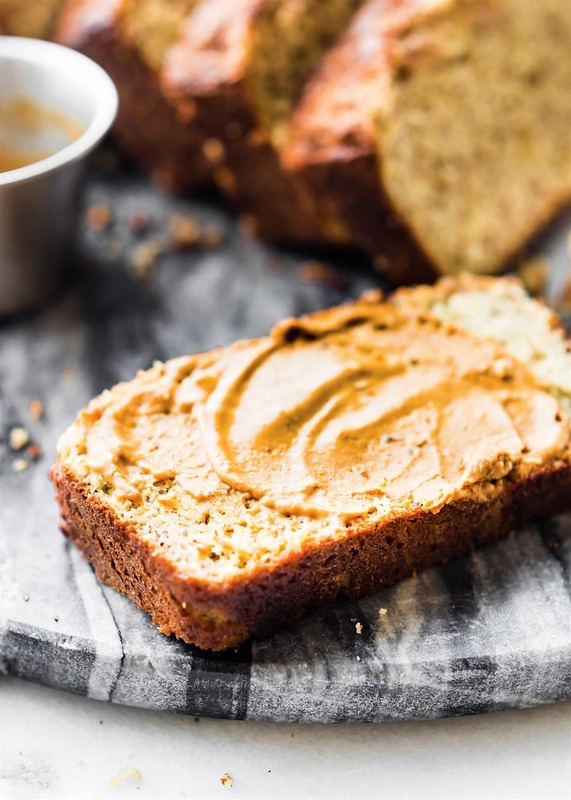 This simple and delicious cinnamon almond flour bread is a low sugar paleo bread recipe your whole family will love! 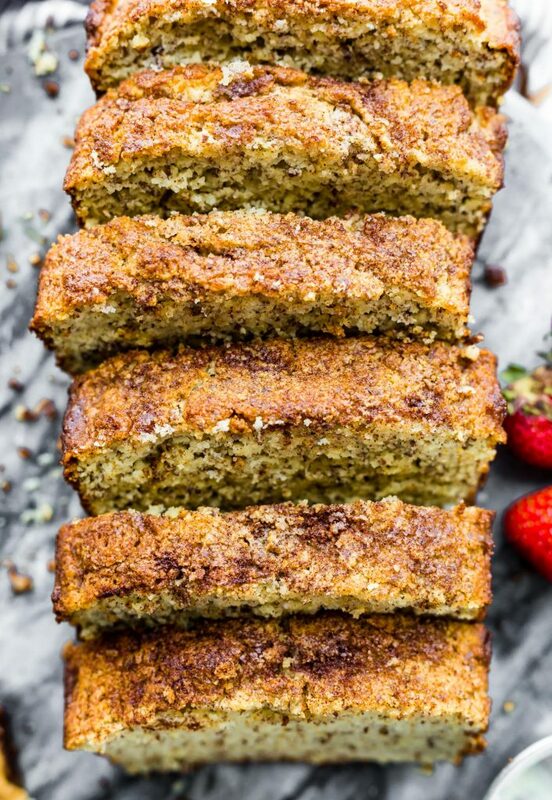 Made with few ingredients: almond flour, flax seed, cinnamon, and eggs to name a few. A wholesome bread for breakfast or snacking. Today I want to help kick start a meal prep routine! 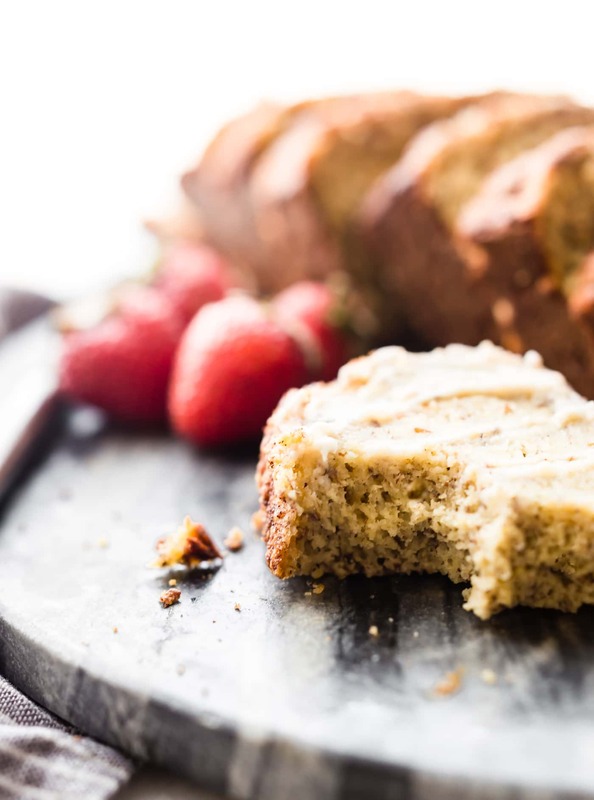 We’ve updated this Low sugar cinnamon almond flour bread recipe with a RECIPE VIDEO BELOW. That way you can see step by step just how to make it; for breakfast, meal prep, etc. It’s SUPER easy and nutritious! OK. I’m just gonna go ahead and pat myself on the back here. This is my second meal prep recipe post in a span of 2 weeks. Oh my goodness. Who have I turned into? I’ll tell you who, someone who is actually getting organized with meal prep. 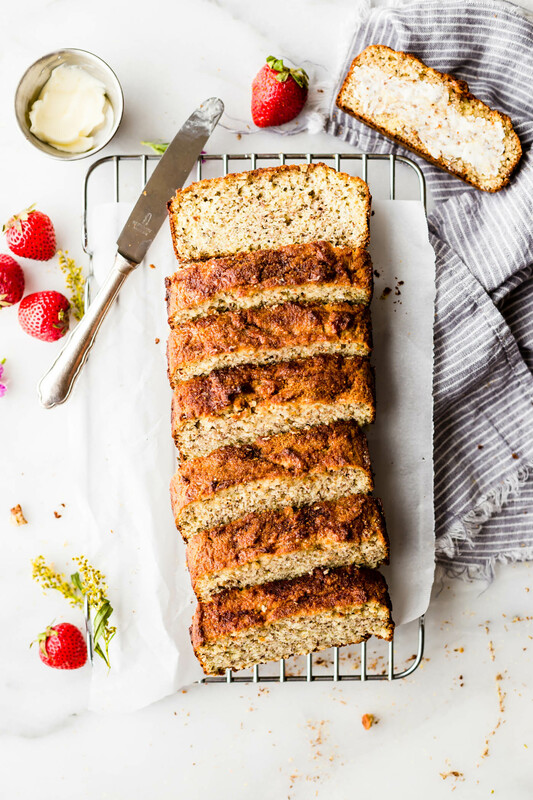 And this super light and soft cinnamon almond flour bread has been a staple meal prep bread that we now can’t live without. Okay we could live without it, but who would really want to? I’ll get to that in a minute though. 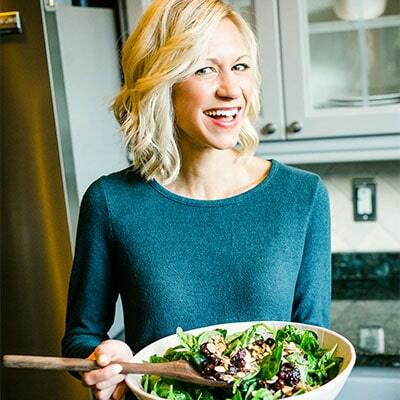 Let’s talk about breakfast meal prep, Paleo meal prep, and all the easy meal prep recipes! I have a feeling that a lot of people are in the same “oh my gosh I need to start prepping for healthier meals in advance ” kind of boat. Am I right? You know … the back to work, back to routine, in need of 30 minute healthy dinner and lunch box ideas! Ideas like these might help. 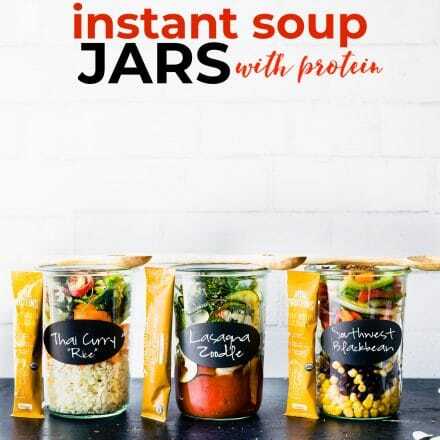 The portable mason jar power lunch, make ahead instant soup jars (with EASY prep), the grab and go breakfast wraps, and post workout breakfast cookies. No matter what your health goals might look like this year, I think it’s safe to say we all feel the need to get our meals (and life) organized. It keeps us sane! But sometimes it’s overwhelming to know where to start. Goodness, that’s where I am, or was. I was questioning what to make that will last long, freeze well, and could be used multiple times in a week. If you don’t know where to start with meal prep, might I suggest you start with the meal that many of us struggle to find time to eat or make?! Yep, breakfast! Hence this almond flour bread recipe. Freezable, easy to make, and it’s chock full of antioxidant rich ingredients! Not to mention it makes your house smell delicious; calming that anxious meal planning heart. Ha ha ha. Just kidding. How do you make bread with almond flour? Well, it’s easy! Just a few staple ingredients needed! 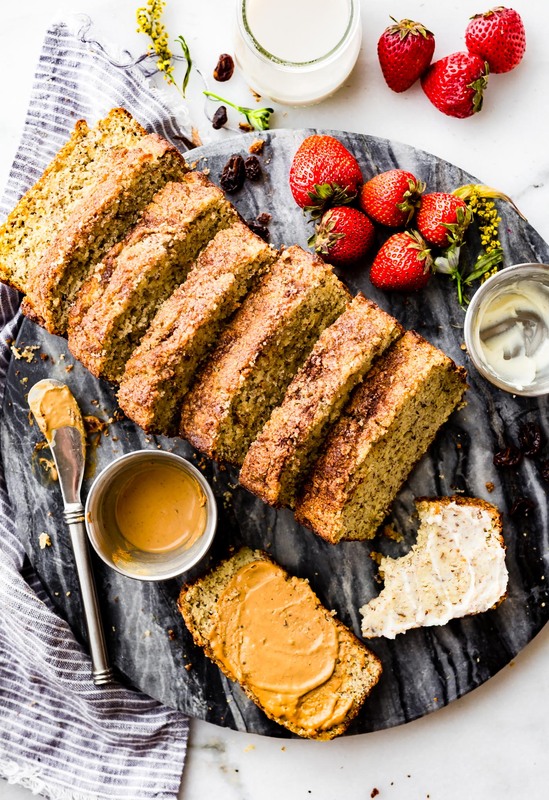 Chia Seed or nut butter to top, or BOTH! You see, all the tasty superfood ingredients you need in a meal. But in bread form. Literally the bread of life! Haha. 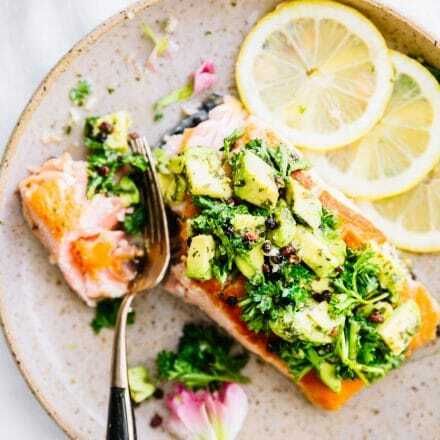 Naturally rich in omega 3’s, Protein, Healthy Fats, fiber, and as mentioned above, ANTIOXIDANTS. The cinnamon also helps bring out the naturally sweetness of almond flour bread. Which helps keep it lower in sugar and carbohydrates. Totally didn’t plan that, but I’ll take it! And I must say, it pairs perfectly with butter, honey, cream cheese, peanut butter, almond butter, jam, or even a fried egg on top. Now you know why I am in love with cinnamon almond flour bread, aka meal prep bread. Where do I get all these ingredients? One place. H-E-B grocery store ya’ll! H-E-B is one of my absolute favorite grocery stores in Texas. And now I can order groceries online as well. Although I do miss going in and exploring all the new items in the H-E-B. H-E-B grocery has just about every product under the sun. 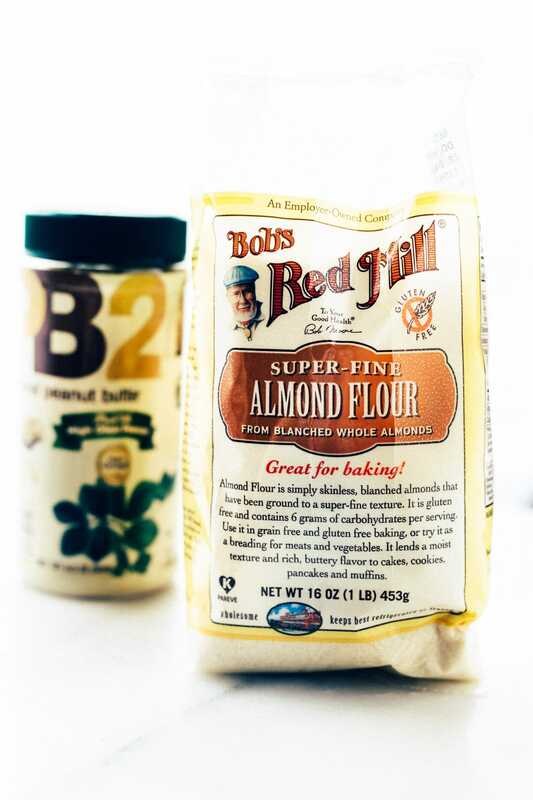 They carry some of my favorite healthy staple brands such as Bob’s red Mill and PB 2 Flour. They also have their own Central Market (an American gourmet grocery store chain owned by H-E-B) organic line, which we adore! I love the Chia and flaxseed, which is what I used in this almond flour bread today. So, shall we get to baking? Side note: You will definitely want to make multiple loaves of this bread and freeze some. It goes fast! In the best possible way. 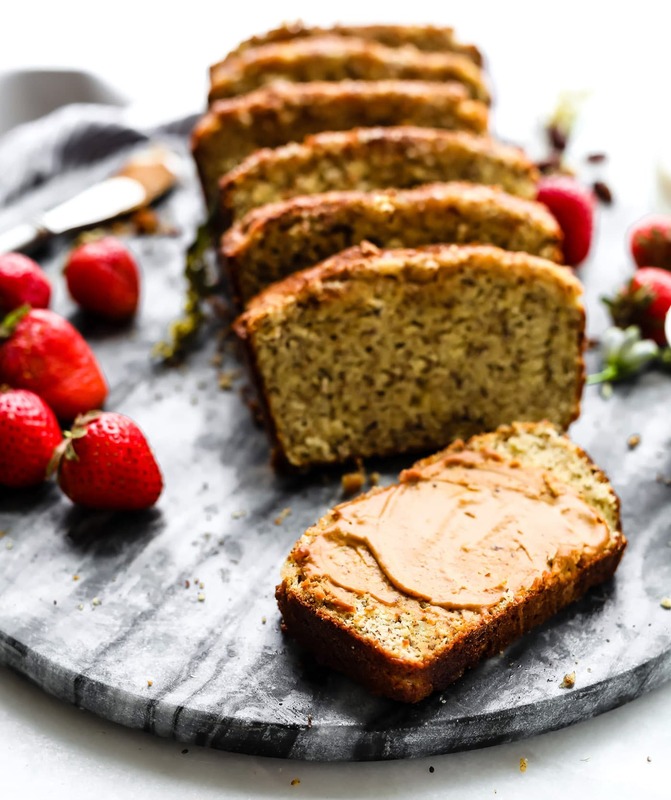 This delicious cinnamon almond flour bread is a versatile low carb, gluten free and paleo bread recipe the whole family loves! Simple ingredients, nourishing, soft and delicious. Preheat oven to 350F. Line an 8×4 bread pan with parchment paper at the bottom and grease the sides. In a large bowl, mix together your almond flour, coconut flour, salt, baking soda, flaxseed meal or chia meal, and 1/2 tablespoon of cinnamon. In another small bowl, whisk together your eggs and egg white. Then add in your maple syrup (or honey), apple cider vinegar, and melted butter (1.5 to 2 tbsp). Mix wet ingredients into dry. Be sure to remove any clumps that might have occurred from the almond flour or coconut flour. Pour batter into a your greased loaf pan. Bake at 350º for 30-35 minutes, until a toothpick inserted into center of loaf comes out clean. Mine too around 35 minutes but I am at altitude. Next, whisk together the other 1 to 2 tbsp of melted butter (or oil) and mix it with 1/2 tbsp of cinnamon. Brush this on top of your cinnamon almond flour bread. Cool and serve or store for later. For storage, it’s best to keep wrapped in foil or ziplock in fridge. The bread freezes well for meal prep. If you you use a larger pan, the loaf slices will be less fluffy but equally delicious. To make the flaxseed or chia meal, simply place the the flaxseeds or chia seeds in a coffee grinder and grind until a fine meal is formed. I highly recommend going to check out H-E-B. You’ll find so many healthy brands and products that H-E-B carries locally or on their website. They are such a great store for meal prep and saving money on quality ingredients. Plus they have some delicious recipes ideas for more meal prepping. 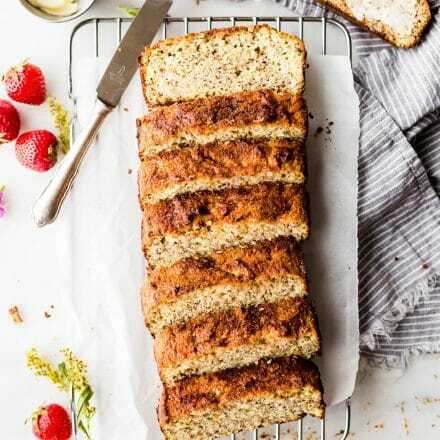 Have an Almond Flour Bread recipe? Do share! What’s your go-to meal prep staple ingredient? me too! Let me know if you try it Heather! Looveeee the looks of this! Can’t beat a good cinnamon bread. I’ve tried baking bread with almond flour a couple times and I love the texture! 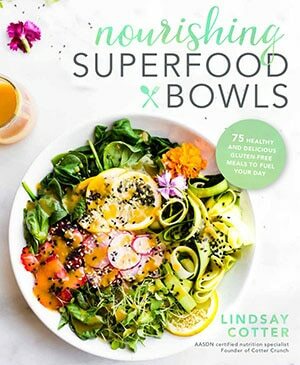 I will making this during the weekend– I need to get on the meal prep so badly again! Little man starts school and they have been eating like Animals…I can’t keep up with cooking! I wish I could send all my food I have here!! i know. me too! I just made 3 loafs! LOL! Can this be used on the whole 30 diet if I leave out the honey? It would be using whole 30 ingredients, yes! but I think whole 30 doesn’t allow for baking, right? I could be wrong. I know they want you to stray away from baking paleo foods. I can see myself snacking on this all day long, looks incredible! This bread is seriously perfection!! Love this idea!! I need to try it ASAP! My family always does a brunch for Labor Day. There are always delicious breads that I can’t eat due to allergies but this year, I may need to make this so I can have that fun treat and still share with everyone else! will you invite me? LOL! Can you feel it Lindsay? I’m patting you on the back too! This bread looks fabulous! When summer winds down, I begin to think of warm, cinnamony things! So this bread needs to happen very soon at my house! This is the kind of bread I could snack on all afternoon. Bet it makes the whole house smell amazing while baking too! yep, totally worth all that! I say you make this for you mom. I like her! LOL! Ohhhh… I am totally trying this one out. Vegas is a bread whore and I’m a cinnamon whore. Perfect marriage! I always try to please you and vegas! Life goals! Cinnamon BREAD!!!! I have still yet to really make a LOAF OF BREAD before – so I think I need to start by making something similar to this…. My problem is, I cannot hold myself back from EATING IT ALLLLLLLLLL! Oh boy oh boy I’m so excited about this; it sounds delicious, and I love making sweet breads. They’re probably my favorite baked good. If I didn’t have coconut flour is there any other flour I could use? Totally thought of you! In stead of coconut flour, you could try 3 -4 tbsp tapioca or oat flour. But watch the baking time. I haven’t tried it, so keep me posted! Hi Catharine! In stead of coconut flour, you could try 3 -4 tbsp tapioca, rice flour, or oat flour. But watch the baking time. I haven’t tried it, so keep me posted! Coconut flour absorbs fast so you always use less. oh yum! Il love how hearty this bread looks! This bread looks and sounds so hearty! I want to reach right in a grab a slice! And I just love baking with almond flour. Can’t wait to try this out. This looks so good! 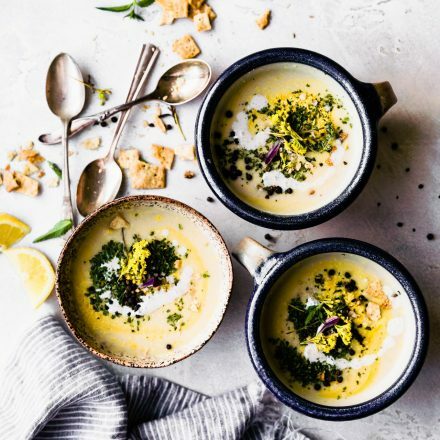 I have all of the ingredients for this and definitely need to give it a try!! This would definitely make my kitchen smell FANTASTIC!! The weather has been perfect for bread here. Coolish with a side of comfort. I think this qualifies. Plus I love the combination of almond and cinnamon. Seriously, I love the taste of cinnamon in bakes goods! I can practically smell it already! This has got to be one of the most delicious looking breads I have ever seen! Love your recipes. I have been following you on Instagram for a while and my jaw always drops when I see your pictures. So inspirational! Thanks Megan! i love your recipes and family! So glad you started doing what you love. It shows! This is wonderful and so unique! Thanks for a great new bread. Made it with my three year old’s help and we shared it with friends and ate almost the whole loaf in one sitting! I added a tiny bit of coconut sugar to make it slightly sweeter. Oh that is wonderful! So glad to hear Dorothy! Great memories. Can I use tapioca or arrowroot flour instead of coconut flour? Thank you.. I would try 3 tbsp arrowroot. Keep me posted! Super yummy! Great toasted with pb and honey! I had my doubts especially after tasting the raw mixture but it is a lovely dense bread! I wonder if I could make french toast with it?! Oh that’s a great idea! Maybe worth a try! Heavenly thick french toast. YUM! I think so! Maybe try 3 tbsp since coconut flour is more dry. Keep me posted! 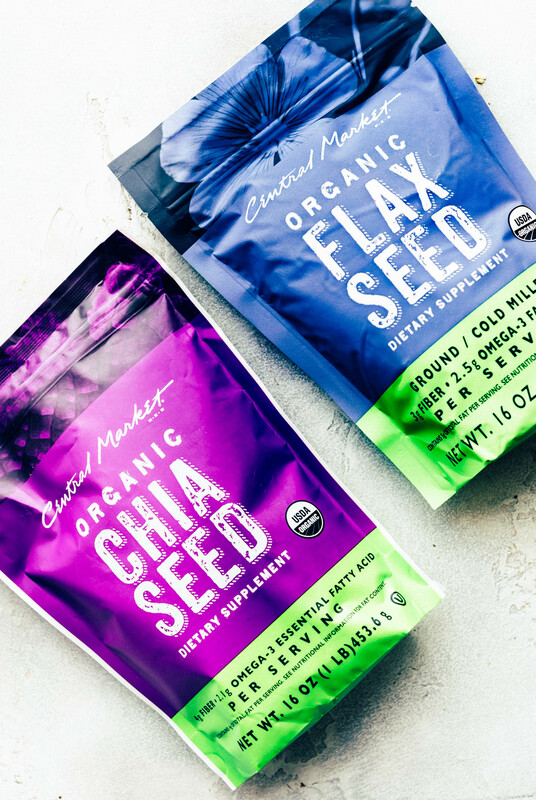 I can’t have flax or chia right now. Do you think I would need to increase one of the flours if I left them out? Thanks! can you have ground psyllium husks? You need a little binder but you could totally try this without. Not sure about texture though. I guess so. I’ve never heard of that. I can’t have any grains or seeds. I just found your site, this recipe, and just finished making it! It smells amazing! I can’t wait to try it! I think my toddlers will love it! Oh wonderful! Thanks Jill. Let me know how it turns out! Hi Lindsey, my wife and I will bake this tomorrow. Thank you in advance for making eating healthy delicious! Wonderful! Keep me posted David! Hi! 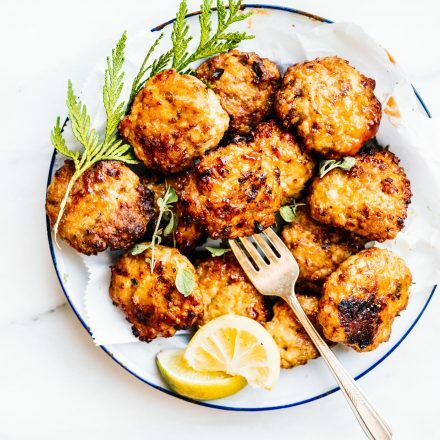 Do you have the macro count for this recipe? NM-Just saw it already posted @ the bottom of the recipe….lol! Love starting my morning with this! Keeps me full for hours too! I actually tried this with aquafaba too! But it didn’t rise as much. Was looking for a low-carb bread to make in small loaves and include with jams in a Christmas gift basket. This was PERFECT. Moist with comforting spiciness. I did add a little Splenda to both the bread and the topping – forgive me, but I do like things a bit sweeter than what the small amount of maple syrup could provide. Will definitely make again! Oh I love that you made it as a gift! IT’s so cozy yet light! Thank you for your feedback Alayne. Merry Christmas! This bread has me counting down the minutes until breakfast! This came out perfect and everyone loved it. I had to reduce the backing time a bit because I have a convection oven and I added chopped dates, cranberries and pecans. Thanks for a great recipe. Thank you for the recipe! I used 1/2 coconut flour and 1/2 almond since I didn’t have enough almond flour– it is VERY dry. Is that why?? Can coconut flour not be substituted for almond? Also I omitted the honey since I am not eating sugar right now. It smells amazing but a little hard to eat. Maybe I shouldn’t have omitted the honey and/or substituted the flours. Thoughts!?! I’m mad because it smells amazing! Oh no, yes coconut flour is pretty sensitive, I never use more that 4 tbsp in a bread. But you could totally try adding a topping, like more coconut oil with cinnamon. Haha I have done this before. Another option, slice it and then use it in a bread pudding with eggs and almond milk. YOu can make it savory or sweet! Could you make muffins using this recipe? Texture was spot on! I was hoping for something a little sweeter, but we topped with cinnamon honey and that solved that dilemma! Thanks for a great recipe! Yes, you can totally add in more sugar, but I like that you can add the honey topping! Good choice! Can eggs be substituted with something else? Does this work as muffins?? This bread is what I had for breakfast the last week, and I have another one in the oven right now. It’s that good!! Oh wonderful Roni! Yes, would love pictures. Did you share on social media? I have made this recipe a handful of times and love it! This time i added some scoops of Cinnamon Roll Protein from Bowmar Nutrition – YUMMMM! I love the smell too! I hope you all enjoy-thank you! Amazing recipe, gonna try this right now for sure!